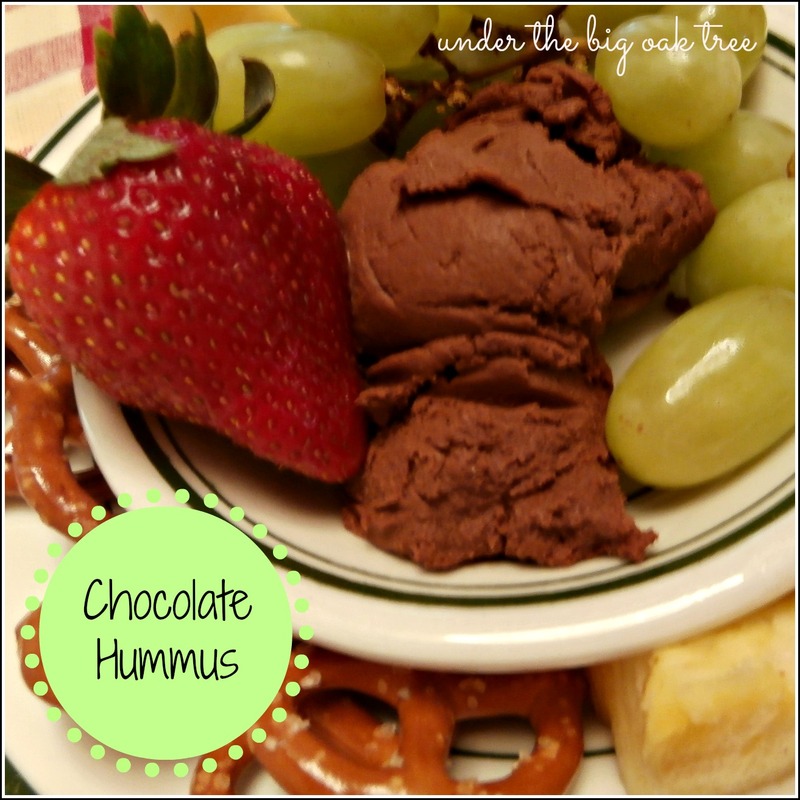 I have wanted to try Chocolate Hummus ever since Debbi shared her recipe almost 2 years ago! I just never got around to making it since I knew I'd be the only person in the house that would eat it. I really didn't want to make the entire batch of it for myself. I probably could have cut the recipe in half, but that thought never occurred to me until just now. Tuesday morning, I had the perfect opportunity to whip up a batch of delicious Chocolate Hummus. We had company coming over and I wanted to offer a healthy snack to our guests. I set out a bowl of veggies with some store-bought roasted red pepper hummus for a more savory snack along with a bowl of fruit with the Chocolate Hummus for dipping. Mmm! So good! I'm so glad I finally got around to trying it! Add more or less water to get desired consistency. I really loved this healthy snack! It was especially delicious on strawberries! I'm just sorry it took me so long to make it!